With the introduction of SAP BusinessObjects Cloud, SAP has released a cloud based solution that allows for data connections and data acquisition from various on premise solutions. 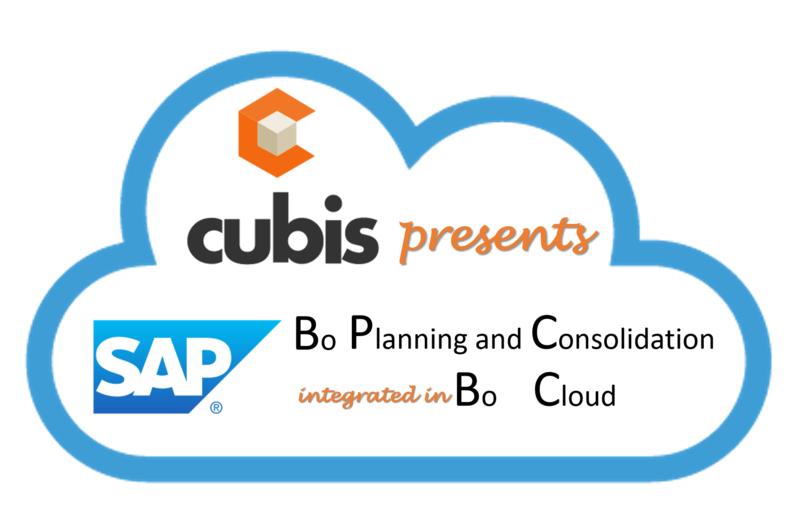 At Cubis, we are convinced that investments in SAP BusinessObjects Planning and Consolidation (SAP BPC) can be leveraged by this complementary cloud-based solution that is user-friendly and that empowers business users.To illustrate the possibilities of the integration of SAP BusinessObjects Cloud in a SAP BPC planning process, we have created a small demo movie that shows how easy business users can make use of this integrated approach. The demo takes the example of a simplified sales budget process where the solution is presented by taking the perspective of two business users. 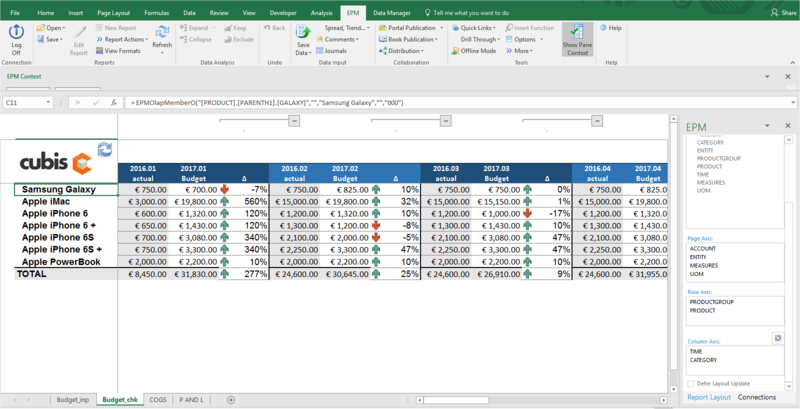 In a first step, a corporate controller initiates budget data in SAP BPC; to achieve this the controller runs a custom planning function in SAP BPC interface for Excel that revaluates average actual data from previous year and saves this data as initial budget values for current year. Next the controller takes the data to SAP BO Cloud and sends out a request for data input to a regional sales manager.Following the input request from the corporate controller, the sales manager exclusively uses SAP BusinessObjects Cloud to review, edit and confirm his budget data for his region by simply accepting the input request received. This process shows how easy it is to make SAP BPC data analysis and data input screens available for any local entity in your organization via a simple browser interface without the hassle of having to go through installation procedures and security configuration processes. Just give the user an URL, user name and password for the SAP BusinessObjects Cloud system and they are ready to start of with what is most important for your business. In a last step, we take back the perspective of the corporate controller. Once the controller receives a notification from the sales manager that he has performed his data input, he makes sure that the correct budget data is made available in SAP BPC, where he can easily make use of SAP BPC’s consolidation and advanced reporting functionalities. At the end of the demo video you will be convinced how easy it is to achieve a seamless integration of SAP BPC and SAP BusinessObjects Cloud. For more information about the solution shown in this demo or for any question, please contact comment directly on this blog in the comments section. Are there any difference between SAP BPC and SAP Business objects cloud ? In short: yes there are (sometimes huge) differences between BPC and BusinessObjects Cloud. Depending on what you are targeting, could you please elaborate on which domain you would like to know where the differences exist?